Oystercatcher February 2019. Review. This was our second stay at Knipe Point Drive but our first at 'Oystercatcher'. Knipe Point Drive, is to me, a long pleasant cul-de-sac. On one side views (and walks) across the fields to Scarborough Castle and South Bay. On the other side. The wide sweep of Cayton Bay to precipitous cliffs on the far side, that one is able to view in all its moods, and watch the ebb and flow of the tide. 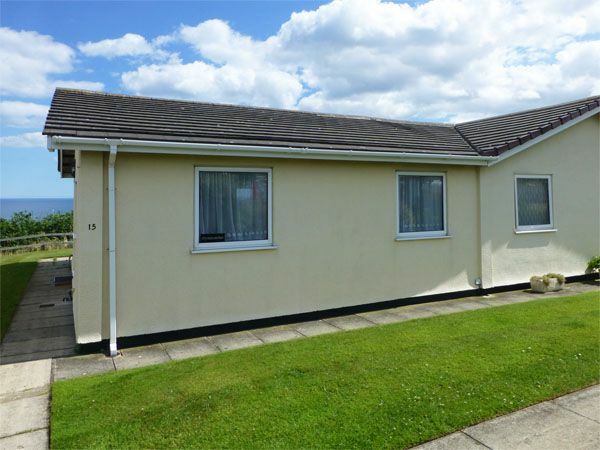 Oystercatcher is a warm, comfortable and spotlessly clean semi detached bungalow. With a startling variety of wildlife to be observed from the French window of the living room. Parking is close by. Some say it could do with this and that. But your on holiday, in accommodation that is probably the best value you can find. So who cares. Enjoy. 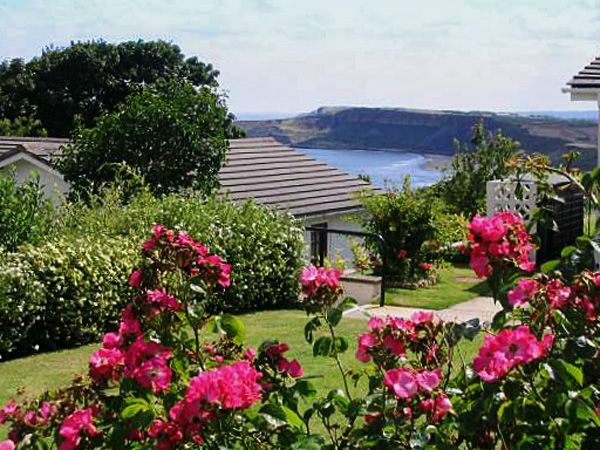 Sea-View Bungalow overlooking Cayton Bay with designated Parking Space. 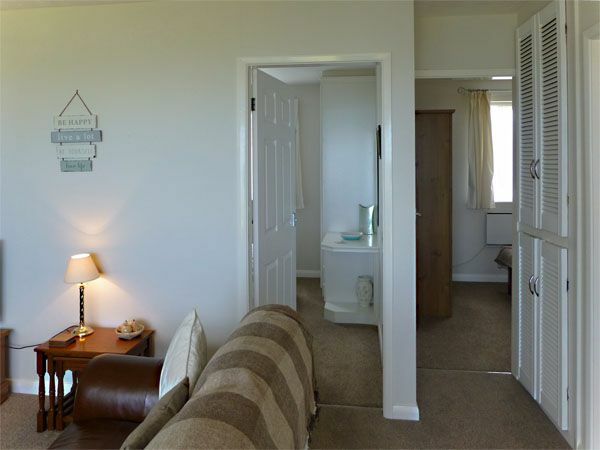 This bungalow has 2 double bedrooms, a lounge, a kitchen/diner and bathroom. The lounge has comfy seating, TV, coffee table, lamps and electric fire. 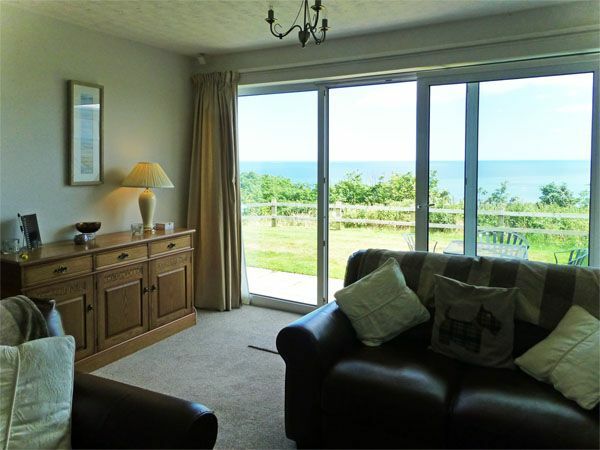 Sliding patio doors extending the full width of the room giving magnificent wide, clear, sea views. 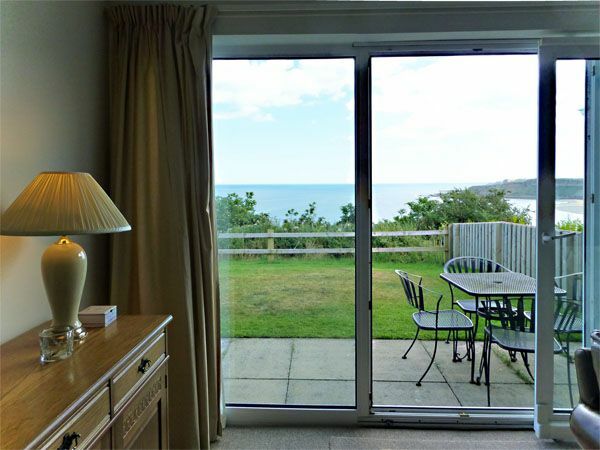 Patio doors open onto a private garden area complete with table and chairs where you can sit and enjoy unrivalled views of Cayton Bay. 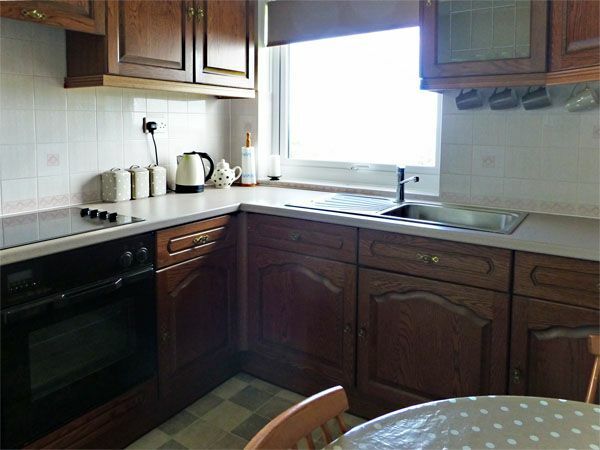 The kitchen is well-equipped with electric hob and oven, microwave, fridge (ice-box only). There is no washer or dishwasher. The dining table and chairs which can be used in the kitchen or placed in the lounge so you can enjoy the spectacular vista whilst you dine. 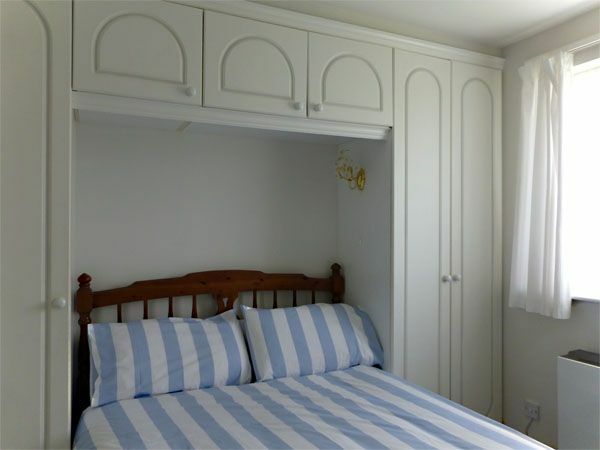 Off the lounge are two welcoming double bedrooms both with wardrobes, bedside cabinets and drawers. The bathroom has WC, basin and bath with electric shower over. Patio area with seating and panoramic sea views. Beautiful Award-Winning grounds feature a Carp Pond fed by a waterfall. NOTE: the pond is un-fenced so children would need to be supervised. This is a lovely environment for a stroll at all times of day and in all weathers. 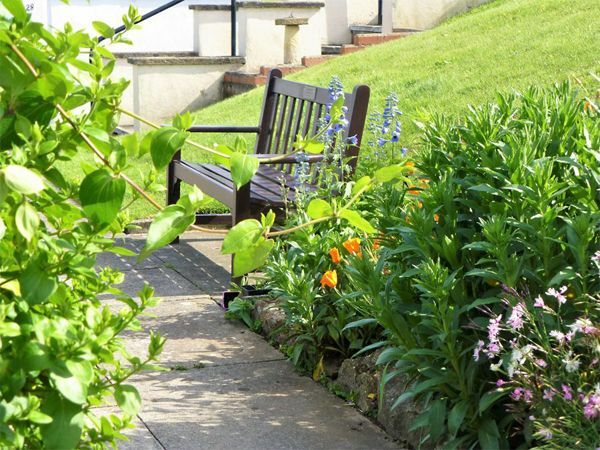 Paths and benches are provided for relaxing and taking in the sea air and the outstanding views of sea, castle and cliffs. 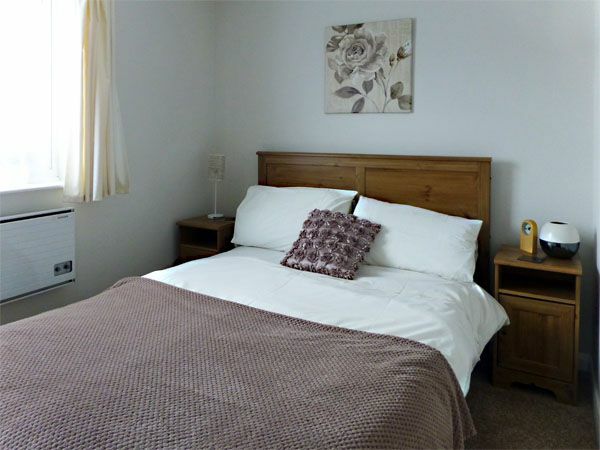 Bed-linen is provided free and there are no charges for utilities or parking. Sorry no WiFi router but previous visitors have accessed the internet on 3G or 4G or used their BT Mobile Broadband to access a hotspot from Oystercatcher. 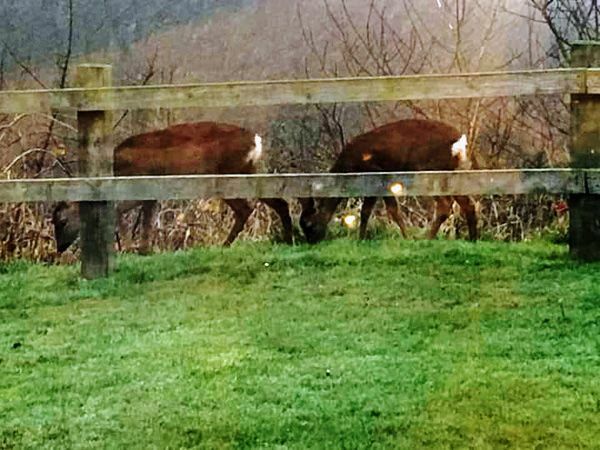 You have a private designated parking space close by, and additional visitor parking bays. There is a level path from the parking area (see below for access). 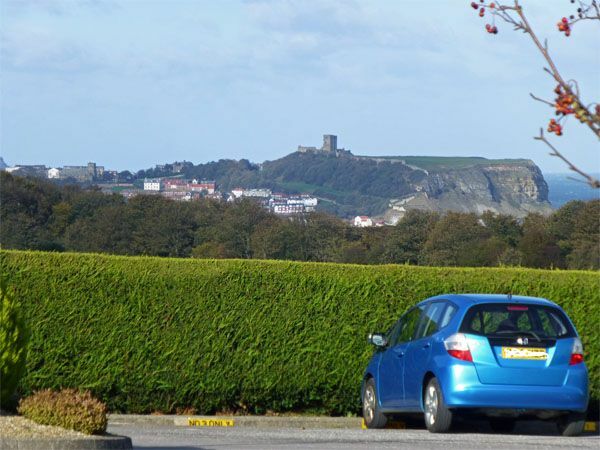 From the parking area and communal grounds you have great views over to Scarborough and the Castle. 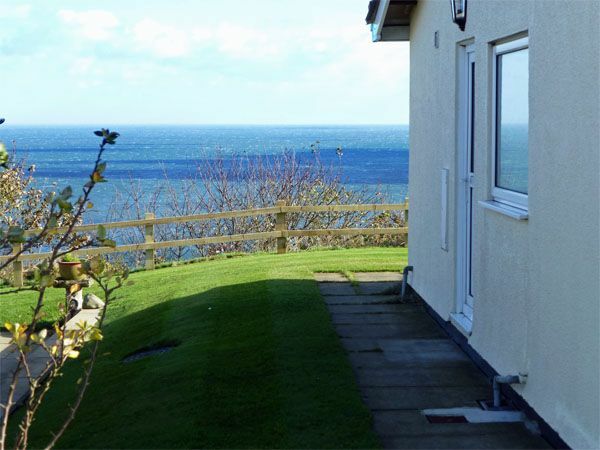 This lovely 2-bedroomed semi-detached bungalow has SOME OF THE BEST SEA VIEWS IN THE SCARBOROUGH AREA. NOTE: PETS ARE NOT LONGER ACCEPTED AT OYSTERCATCHER. OTHER PROPERTIES ON KNIPE POINT THAT DO ACCEPT A PET ARE "SEA VIEWS BUNGALOW" & "BEACH VIEW BUNGALOW". 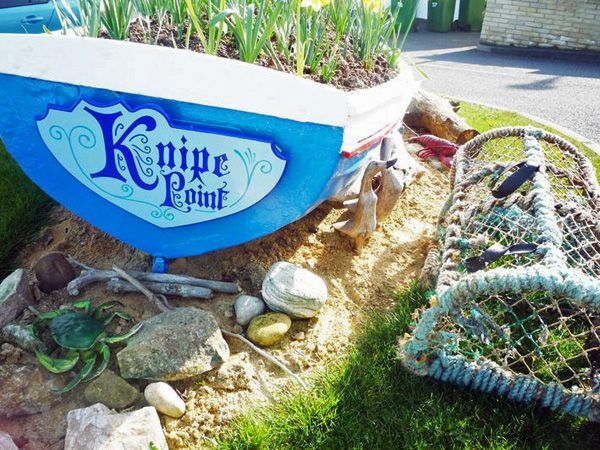 It is situated amongst a small number of similar properties on the headland known as Knipe Point. 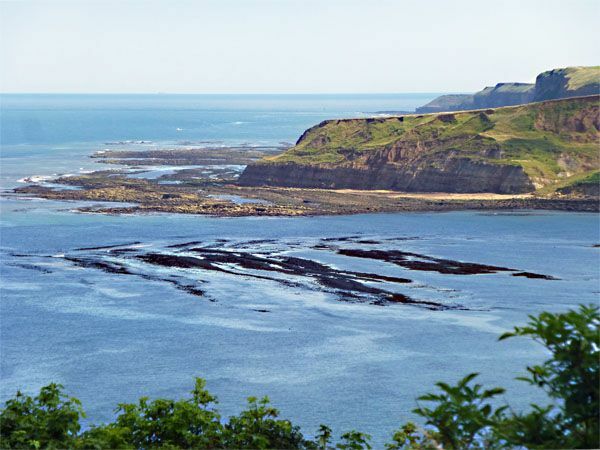 The headland separates Cayton Bay from Cornelian Bay, and is accessed from the old Coast Road approximately 2 miles south of Scarborough Town Centre. The Town Centre of Scarborough (and the smaller resort of Filey) are easily reached by car in 5 - 10 minutes. The South Bay of Scarborough is a 3/4 hour scenic walk away along the Cleveland Way ...which runs along the cliff tops nearby. This beautiful estate features attractive, well-tended Award-Winning communal gardens with paths, seating areas, and a carp pond fed by a waterfall. 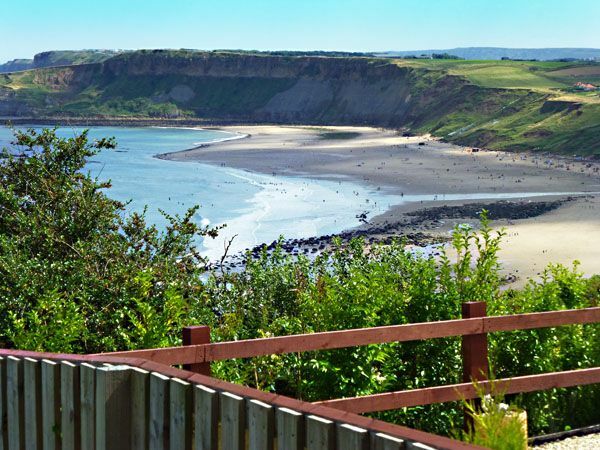 Access to the glorious unspoilt sandy beaches of Cayton Bay and Cornelian Bay is through National Trust Woodland - but please note - these paths are rather steep in places and can be slippery when wet. 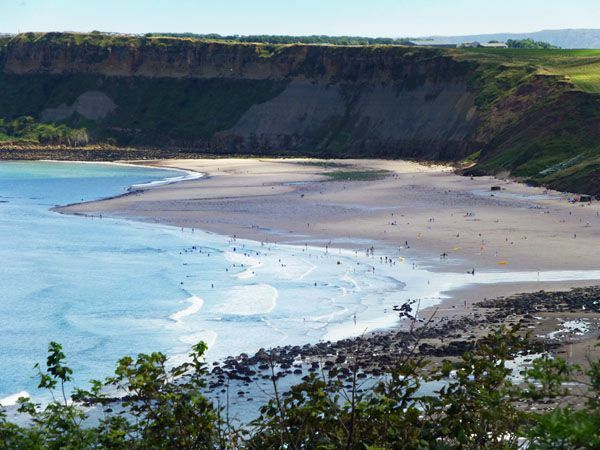 Cayton Bay is popular with surfing enthusiasts who reach the beach via a surfaced path/steps about ½ mile further south. ...and this is an easier alternative route for holiday-makers staying at Oystercatcher. There’s a bus stop and regular buses...and a Park & Ride into Scarborough nearby, and a pub serving meals approx 3/4 mile away. Convenience stores, Post Office, Fish & Chips etc about a mile inland at Cayton Village or Eastfield. Nearest Supermarket is approx' 1 1/2 miles north... just before you reach Scarborough Centre. Whitby is 25 miles north. York 50 miles west. North York Moors National Park 8 miles. THE CARP POND IS UNFENCED PLEASE USE CAUTION AND SUPERVISE CHILDREN. OFF-PEAK Low Occupancy Discount of 5% if only 1 or 2 guests using 1 bedroom. 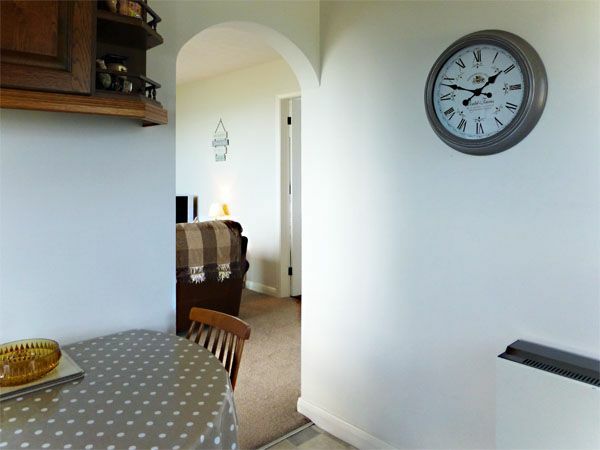 There is level access from the parking area into the bungalow (except for one step into the property and from the door onto the patio) so it may suit those with mobility difficulties. Short Break at Oystercatcher	I recently spent 5 days at Oystercatcher, it had briliant views and I wished I had booked longer ,but anyway the bungalow is situated in a wonderful setting in Cayton bay and has the most fantastic views,it has a frequent bus service if needed , and is only a short drive to Scarborough and Filey. We were delighted with our accommodation on arrival. The bungalow was warm, welcoming and very clean. The standard of facilities was very high and the views from the property were stunning! We have been coming to Scarborough with Bedwyns for the last 6 years and this has been the best holiday yet! Eecently stayed at Oystercatcher with my wife and we had a wonderful time.the property was clean and tidy with everything you need for a weeks holiday.the view from the lounge is beautiful and one you never tire of.we hope to return soon. i would certainly recommend this property. An absolute gem. The views sell the bungalow on there own. Add to this a really comfortable place in a quiet and relaxing location with all the amenities you require and you have the perfect holiday. We moved furniture around to make the best of the views so the dining table was by the patio doors and the outside table and chairs were moved to the side not to obstruct the views. 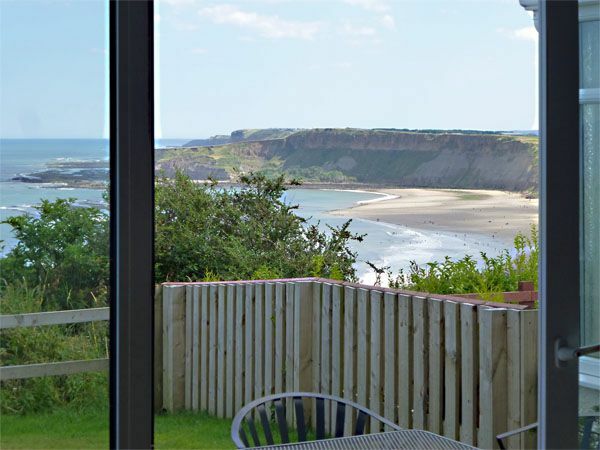 The stop for buses into Scarborough is just a few minutes walk away, It is very likely we would return and would not just recommend Oystercatcher but urge people to stay there. A brilliant place to stay. We loved our stay at Oystercatcher. 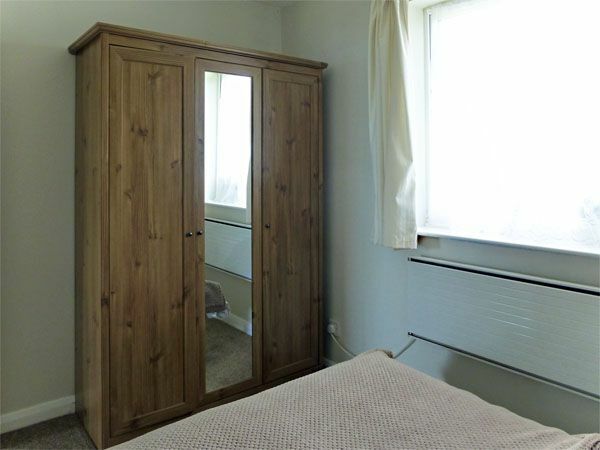 The views are superb, the location is good and the accommodation is very comfortable. Highly recommended. My friend and I, both of us over 70, spent a lovely week at Oystercatcher. 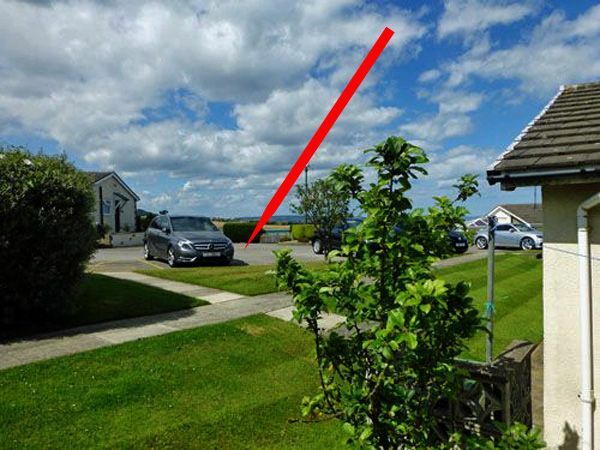 We chose this bungalow because my friend has Parkinson's and the bungalow had easier access for her and was in a beautiful location with wildlife on the lawn and fantastic sea views. Unfortunately we had a bad week for weather, just 3 clear days and sea fret for the rest of the week. However, we were warm and very comfortable so enjoyed a happy and peaceful week away from it all. I have no hesitation in recommending Oystercatcher and look forward to visiting again soon. This was our second stay at 'Oystercatcher' and we enjoyed our week there as much if not better than our first time. The property had good parking in a reserved bay. The bungalow was very clean and comfortable. Both bedrooms were very attractive and well decorated. 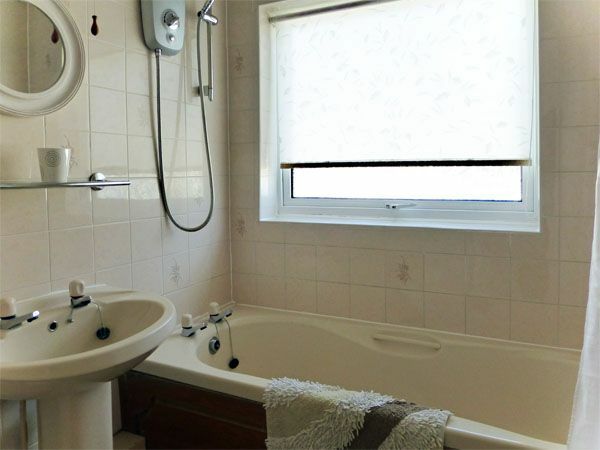 The bathroom was very clean and the shower was easy to use with plenty of hot water. 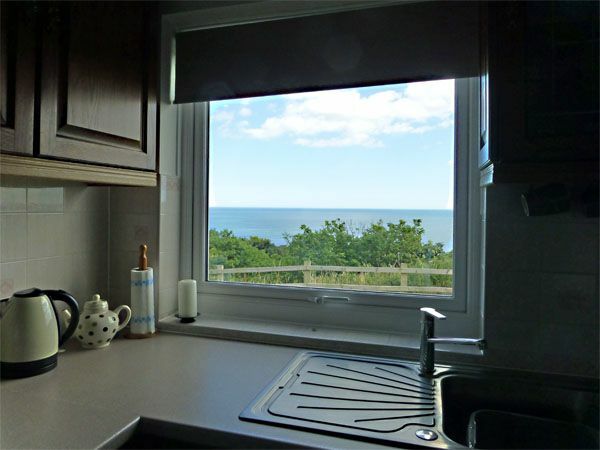 The kitchen was well equipped and the lounge had marvellous views of Cayton Bay. 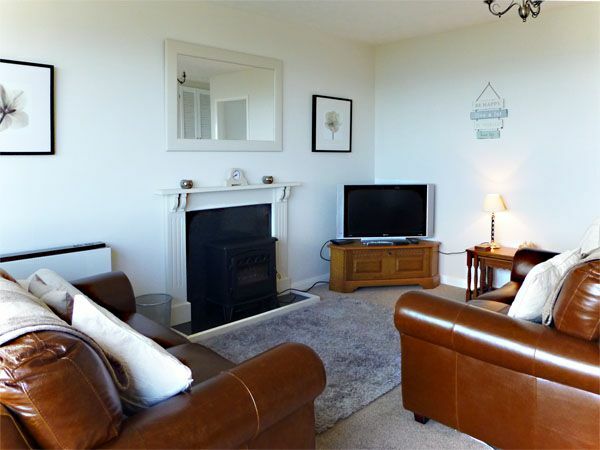 The property is well placed to visit Scarborough and lots of other places in the area. We went to Filey, Bridlington, Whitby and Saltburn and all were in easy reach for a day trip. We had a great week with good weather and look forward to visiting again next year. 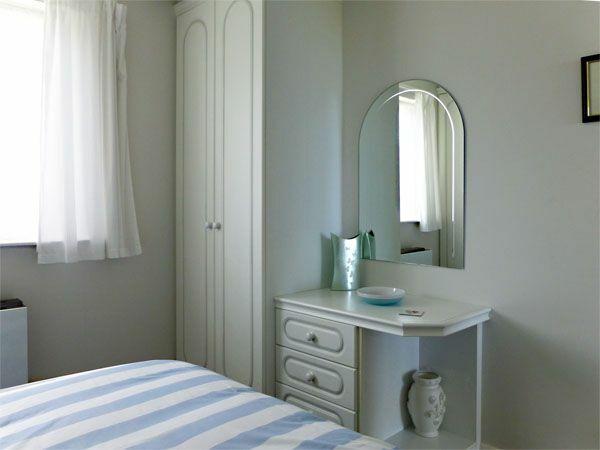 Great position and views, clean and tidy accommodation. Could do with WiFi connection and perhaps a parasol for the hot weather we have had. Perfect Property and Location Our second stay at Oystercatcher. Lovely property in perfect location. Would recommend a visit to Scarborough Fair Collection, fantastic vintage fair ground attractions that you can actually ride! !